Teaching Blog Round Up: Back To School Fun! Depending on when your district ended the recent school year, you might think I'm crazy for this post. Already? Yes, already! Here, school starts back up in less than a month (we got out in May). Since my next post will be after many schools have already began the new school year, I thought I would talk about some back to school ideas for this month's post. Let's start with some teacher talk. If you're like me and have a TON of printables, you MUST have a system for organizing them. I've seen teachers create storage boxes for each month and place books, printables, etc. that go along with a particular month in the corresponding box. Others have a filing system. When it came time to organize my printables, the perfectionist in me didn't want to throw them in a box. I also didn't want to put them in folders because I wanted to easily see what I had able. That being said, I decided to organize them by subject and objective using binders, plastic sleeves, and post-it notes. While you're organizing your files for this coming school year, you might decide to put together a sub tub. 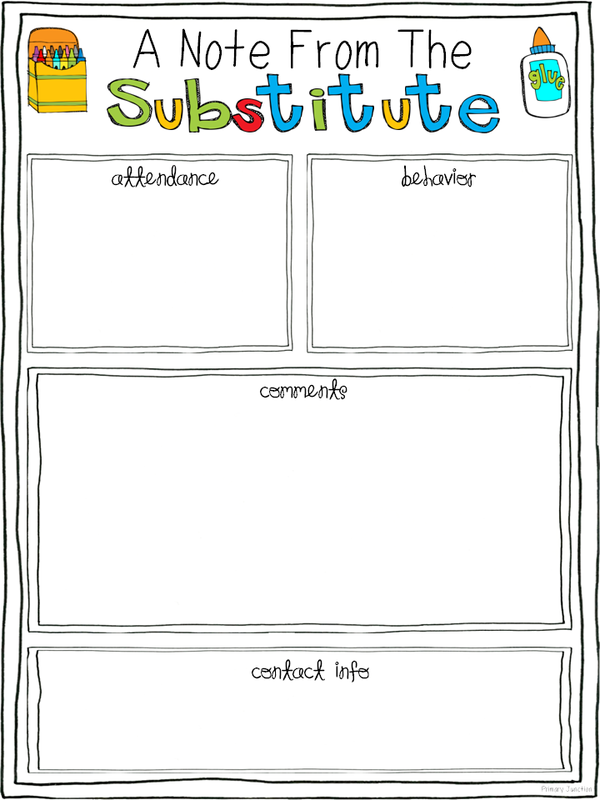 If so, here is a free substitute teacher feedback form you can include! After you complete your back to school planning, you'll probably begin working on Back-to-School Night. It's always a good idea to let parents in on your expectations for the coming year and begin building a partnership. 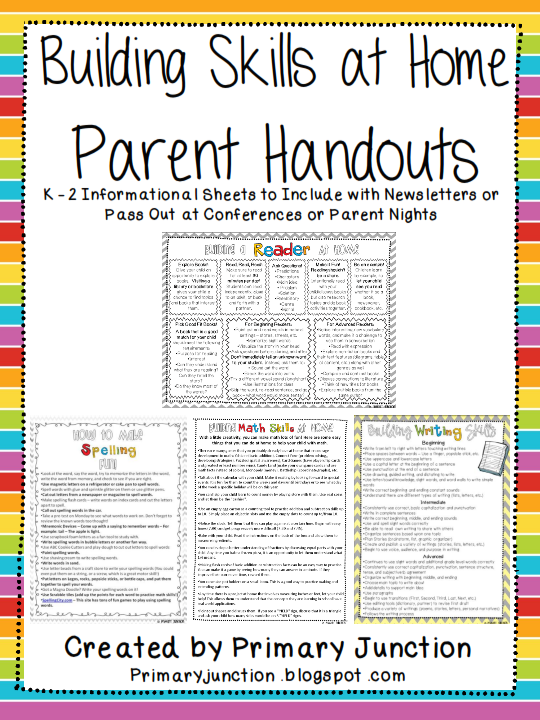 I have found that giving parents suggestions and activities they can do at home really helps, so I put together a packet of handouts that do just that. They come in Spanish too! For Back-to-School Night, I suggest handing out just one handout. Then, you can send a new handout out when it applies or perhaps every quarter or so. They're available in my TpT store. Now, that you're done with your prepping, it's time for the first week of school! 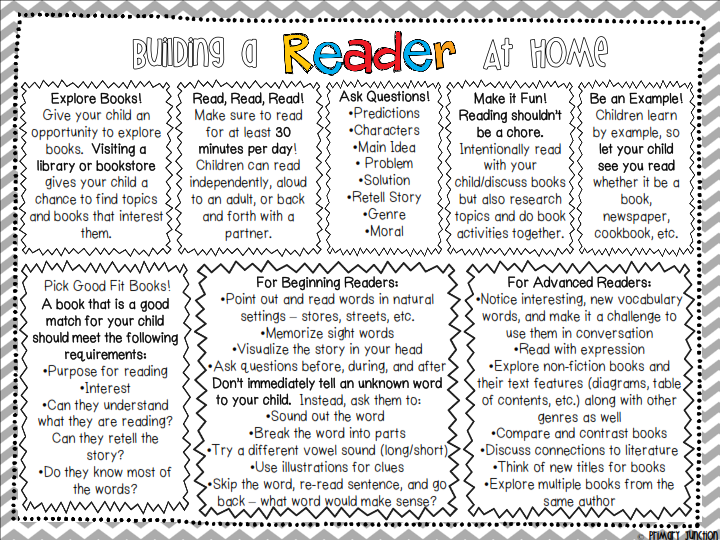 Here's a first day/first week reading activity. In class, read this passage/emergent reader about playground rules to students and then send it home for them to read to a parent. Also, if you are looking for a teaching job, here is a post I did a few years ago (one of my very first blog posts!) about interviews and portfolios. Check it out here! That's all folks! If you're one of the lucky ones (ha!) going back to school in the next few weeks, enjoy the rest of your break and good luck! If not, enjoy your summer!